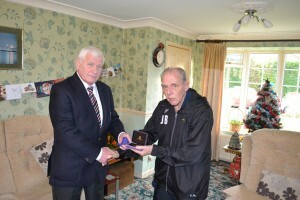 Football clubs and leagues are more than the just players on the pitch. Many clubs and leagues would not be successful if it wasn’t for the hard work of individuals behind the scenes in grassroots football. 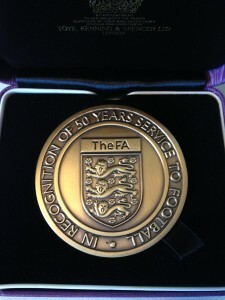 The FA is committed to supporting the volunteers in club football that keep the grassroots game functioning and the hard work of any individual, club or league can be recognised with a nomination for a GFA/FA Long Service Award, or a FA Community Award. 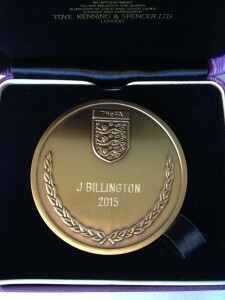 We as the Harrogate & District JGFL LMC are really pleased to announce that our President and Treasurer Mr Joe Billington will be receiving this rare and prestigious award at his home on Friday the 18th December 2015 for his continued services & achievements to grass roots football in the area. 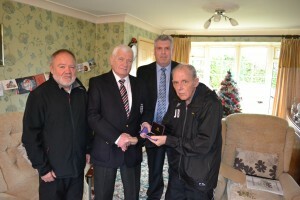 This follows on from his earlier success this year with his nominations and awards as local/regional and national FA Community Award winner and nominee.